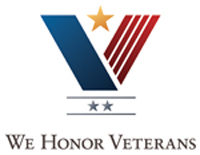 We Honor Veterans, a project of the National Hospice and Palliative Care Organization (NHPCO) in collaboration with the Department of Veterans Affairs (VA), has invited hospices, state hospice organizations and VA partners to join a pioneering program focused on respectful inquiry, compassionate listening and grateful acknowledgment. By recognizing their unique needs, community providers like Niagara Hospice, in partnership with VA staff, help guide America's veterans and their families through their life stories toward a more peaceful ending. These statistics highlight the importance of partnerships among VA and community health providers as well as organizations that serve veterans. Hospice care is part of the basic eligibility package for veterans enrolled in the Veterans Health Administration (VHA). If hospice care is appropriate for enrolled veterans and has been approved by a VA physician, VA medical centers will either provide hospice care directly in their facilities or purchase it from community hospices. 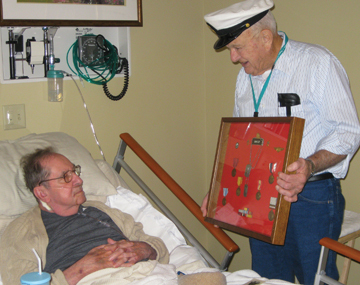 All Medicare-eligible veterans, whether or not they are enrolled in VHA, have access to hospice care through Medicare. Veterans not eligible for Medicare may have hospice benefits through Medicaid or other private insurance. However, like 90% of all Americans, most veterans simply don't know that these options exist. both Presidents Truman and Eisenhower.